If I asked you which restaurant had the most locations worldwide, what would your answer be? I bet you’d guess McDonald’s — and you’d be wrong. Subway is the biggest restaurant chain in the world, with more than 44,000 stores in 111 countries. I guess I’m not alone in my love for Subway; its veggie subs are one of the only fast foods I ever eat. And that chipotle southwest dressing? Divine. If you’re also a fan of Subway sandwiches, you’ll probably be stoked to hear about my recent discovery. You can get a FREE 6-inch classic sub when you purchase a 30-ounce drink! 1. Visit this page and enter your phone number and zip code. 2. Reply “Y” when you receive your confirmation text message. 3. Purchase a 30-ounce drink at the nearest Subway, and redeem your coupon for a free 6-inch classic sub! What are you waiting for? Click here to grab your free sub! 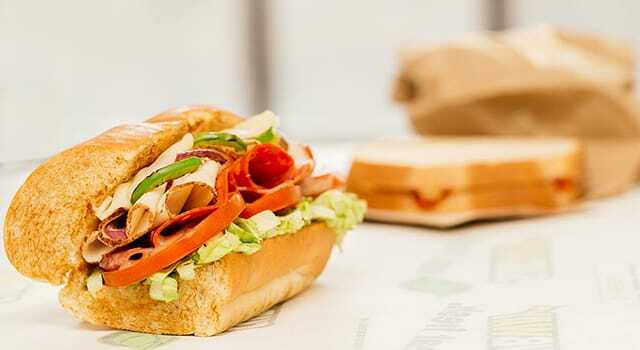 Your Turn: What’s your go-to Subway sub?